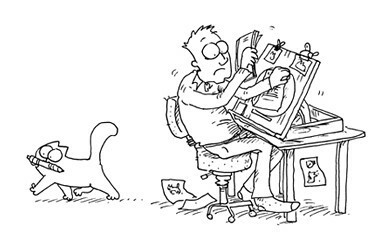 I don’t think there’s anyone out there who hasn’t come across Simon’s Cat. I still remember seeing the first video he did and I was totally in love with his style and watched it many many times. I think it’s still my favourite of them all. I got his first book as soon as it came out and I might have to treat myself to the more recent one. Perfect coffee table book for cat lovers! If you haven’t already, head on over to the Simon’s Cat Website and check out the films section. They are all awesome and definately worth a watch.